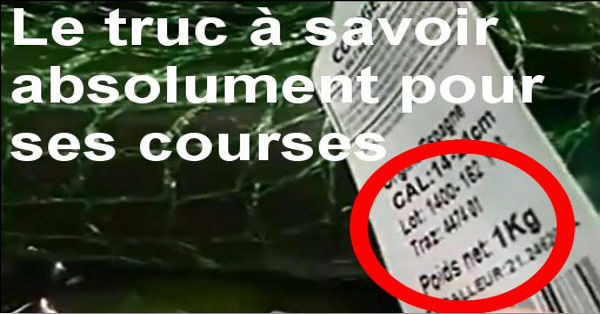 If you buy your fruits and vegetables packaged in bags or nets this trick will be very helpfull for you. Indeed, sometimes the weight indicated on the nets or the bags of fruit and vegetables is wrong. So you payed for the specified price on the net or the bag but it contains less fruit or vegetable ! So the trick is to always check the weight using scales betting available for fruit and vegetables sold by weight. How do you find this tip? Tell us in the comments please.